The TKW Media suite serves three primary purposes. Watching stuff, requesting stuff you wanna watch, getting updates and assistance with the said stuff. There are three ways to watch the server content. Watch directly from this site by clicking the Watch button above. The Emby app is available for almost any platform. This is your best bet if you are usign a mobile device, or a smart TV. The app is also available on PS4 and Xbox. Check the Downloads menu above to get Emby for your platform, or click here to see all platforms. Do NOT download the Emby Server choices. If you are watching on a computer, this is my preference. 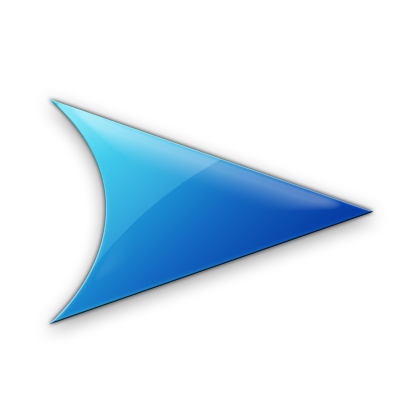 Kodi is an excellent media player, and allows for direct streaming directly from my server. This method has the best performance of all other methods. If you already have Kodi installed, see the video below for how to configure it to watch my server. If you do not have Kodi installed, see this forum post for help installing and setting up Kodi. Each of these methods will allow you to play my files. I prefer Kodi myself for it's vast customization and configuration features, but that's only good if you are using a computer. If you are using an Apple device, or a mobile device, I recommend using the Emby app. You'll find a video below and on the tutorial page for how to connect either Kodi of the Emby app to my server. If you want something to connect to your big screen TV that is independent of anything else, there are several options for you that are affordable. You can find a list of recommended devices on the forum. Whatever you decide to use, you should be able to find what you need to set it up on this site. If you need help, jump on the discord server. For Instructions on how to do that and what Discord is, check here on the forum. You will need to sign in using your same server creditials in order to see some content. Use Navbar at the top of the screen to move around. Site automatically refreshes every 10minutes in case you leave it running and I push an update. See video below for full instructions. My library isn't complete. Chances are you have something you want to watch that isn't on the server. Use the request button above to go to a site I set up for this purpose. Sign in with the same username and password I gave you for the server and you are in! Use the Search tab at the top to search for either a movie or a TV Show, then click Request! You can also see existing requests and status. More details on the forum. This video is performed on Android but it SHOULD be pretty standard across all platforms when using the Emby app. Even if you aren't using Android, your setup should be very similar to this. The only platform that will be different is Kodi. See video on left if you are using Kodi.